This weeks Wednesday’s Weekly Savings Tips is on, How To Save Money On Home Phone Services! Not sure what weekly tips are? You can read what they are about here. For many years, large telephone companies like AT&T really owned most of the telephone business. If you wanted to change something about your home phone, it would cost you. If you had a small problem, it would cost you. If you wanted a small extra feature, like tone dialing, or call waiting, over time, it would cost you a lot. Yes, tone dialing for about 40 years after its creation, was an EXTRA charge of a few dollars a month. As if everyone on the planet didn’t already have it. 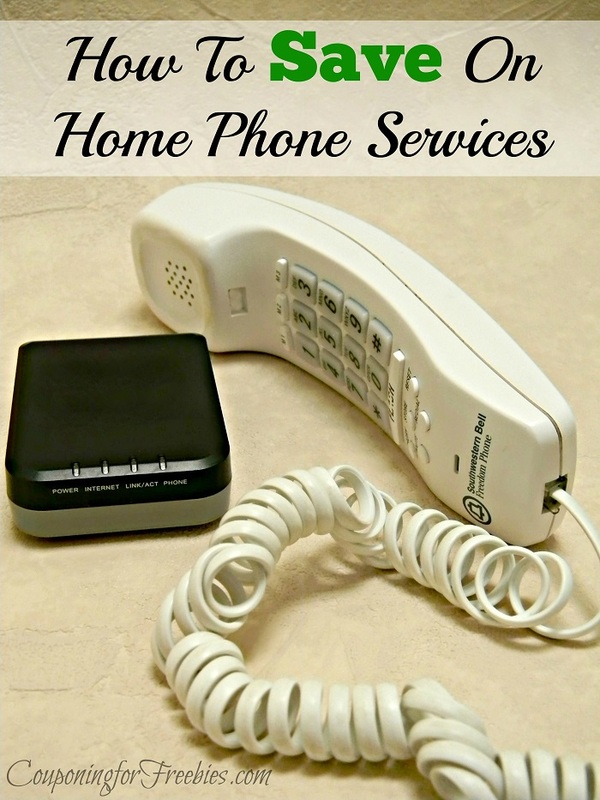 But there are ways now days that you can save on home phone services. Fortunately with the growth of the internet, we now have other choices when it comes to making our calls. I’m not even talking about digital phone that is available from your cable provider, I’m talking about that same technology at a much cheaper price. A few years ago they came out with a new internet telephone alternative called BasicTalk. It is a small box that can be purchased from places like Amazon, and can be plugged in to your wireless router (you do have to have internet for it to work). The instructions make it a simple job. The service is all internet based and you have to connect it via their website. Its not difficult at all to setup an account and activate your little box. Its costs about 10 dollars to buy and that includes your first month of service. Unlimited local and long distance calling. They add in some local and state taxes which makes it about $12.50 a month. The features it has are: Free VoiceMail, Call waiting, Caller ID. Also there is no extra charge to keep your old number and no hidden contracts. Activation is also free. It took me a while to believe it was this good, but it is! The only thing I wished it had was the ability to send faxes. But I guess we cant have everything when we want to save on your home phone! Although I feel they come pretty close, especially at this price, it makes for a huge way to save on home phone services! If you’re like me and are sick and tired of paying way more for your home phone and are looking for ways to save on home phone services, give BasicTalk a try. You can finally get the service you want without really overspending. Be sure you stop by every Wednesday at 10 am, to see what savings tips we will be sharing with you that week. You will be able to find them all here in our Wednesday’s Weekly Savings Tips category after they are published.